The Canadian International Auto Show is the largest event in the car show season that begins in Montreal in January and ends in Calgary on April 22nd this year. Nearly 360,000 people attended the Toronto show last year and at least as many are expected in 2019. While the public has not lost its appetite for car shows, it seems interest from manufacturers is waning. Once a two day affair, the 2019 CIAS official reveal schedule was finished by 12:30 PM on the Press Day, February 14th. It may be that the Toronto show fell between the two powerhouse shows, Los Angeles and New York, or that more and more manufacturers are staging private “invitation only” events clustered around auto shows when they know journalists are in town. The idea is to have the undivided attention of journalists at their events without the distraction of reveals by other manufacturers. It is an interesting strategy but also leads to “narrow casting” of specific reveals as only those invited to the events will report on the vehicle involved, and results in a less exciting Press day, which is the reason journalists are there in the first place. This report will follow the Press Day show schedule and will discuss the most significant Toronto reveals not already covered in our Montreal and Detroit reports, leaving this as the shortest CIAS show report ever. 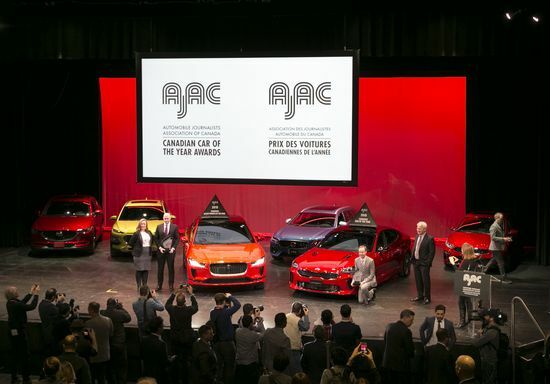 With all the sub-category winners in the individual segments already announced, the big news in Toronto was which vehicles won the Canadian Car and Utility of the Year honours for model year 2019. The category and overall winners are picked from the highest votes tabulated by AJAC members who attended the annual Car of the Year TestFest held in October each year. Kia’s new sports four-door hatchback, the Stinger, nudged out its corporate cousin, the Genesis G70, as well as an array of other vehicles, for the Car of the Year crown. Apparently 2019 is the year of the hatchback, as Jaguar’s all-electric, all-wheel drive i-Pace won the Utility of the Year honour this year. Based on a new platform devised specifically for electric vehicles, the i-Pace is likely the first of a number of all-electric to be released from Jaguar Land-Rover over the next few years. The GLI, the ultimate Jetta and the sedan equivalent to the Golf GTI, was unveiled at the Toronto show. The GLI is powered by a 2L turbocharged inline four that produces 228 horsepower (on premium fuel), 81 more than the 1.4L turbo found under the hoods of mainstream Jettas. Transmission choices include a six-speed automatic and a seven-speed duel clutch automated manual. Another key mechanical update is a fully independent rear suspension system to replace the torsion beam setup on the 1.4L Jetta. The GLI also boasts an adaptive damping system with five different performance profiles. Cosmetic updates include more blacked-out trim, L.E.D. 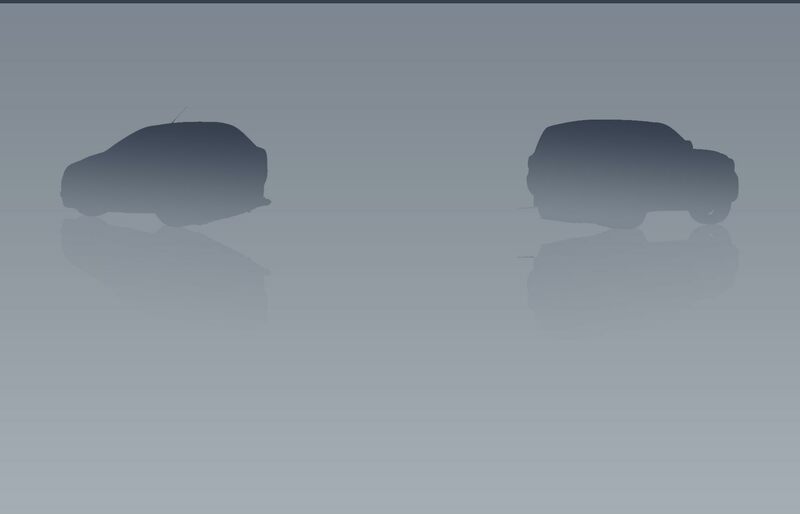 headlamps, bigger spoilers and some side skirts as well. Luxury equipment such as VW’s TFT technology Virtual Cockpit, a dual panel sunroof, name brand audio, dual zone climate control as well as heated and ventilated leather seats, are standard. The Jetta GLI will be in showrooms very soon. The all-new seventh-generation Subaru Legacy was unveiled at the Toronto show this year. Following Subaru’s philosophy of gentle design evolution, the new Legacy bears a strong resemblance to its predecessor. Compared with the previous Legacy, the new car is marginally larger overall but still trim for a car in its class. The new Legacy (and the soon to be shown Outback) is the last mainstream Subaru to move to its Global Platform that debuted on the current Impreza. Subaru notes that the platform of the new Legacy is 70 percent stronger in terms of tensional rigidity than that of its predecessor. The new Legacy is once again powered by a 2.5L flat-four but Subaru says that 90 percent of the engine internals are new and it gains direct fuel injection this year as well as a stop-start system. The 2.5L engine produces 182 horsepower, seven more than last year. The previously-available flat-six engine has been discontinued in favour of a 260 horsepower 2.4L turbo flat-four that debuted in the Ascent last fall. Power reaches all wheels via a CVT transmission regardless of engine choice. Like the exterior, the design of the cabin of the new Legacy is one of gentle evolution rather than significant change. The biggest departure from the past is the 11.6 inch touchscreen that dominates the dash centre stack on higher-end models. Subaru made a point at the Legacy reveal that while the touchscreen can perform a variety of functions, knobs and buttons are still available for those more comfortable with them. Subaru touted an upgrade in the look of cabin materials for the new Legacy. Certainly the pre-production model on display in Toronto was very luxurious; with Subaru spokespeople at the show assuring those present that the actual production car will be even more luxurious than the prototype on display. The new Legacy has a very roomy cabin, with a commanding driving position and big windows to aid outward vision. A thicker windshield and front door windows help to boost refinement for 2020. Subaru’s Eyesight active safety suite will be standard on all trims. Added for 2020 is a new Driver Mitigation system that uses facial recognition software to detect driver drowsiness or distraction. Adaptive cruise control, long an Eyesight feature, will be joined by a new lane centring device for 2020. The new Legacy is expected in showroom this fall. The LF-1 Limitless concept is to propose a vehicle architecture that could accommodate conventional hybrid, plug-in hybrid, fuel cell and battery electric propulsion systems. What the LF-1 Limitless concept really is a preview of the next Lexus RX crossover. While displaying the “expressive” face of the current RX, the rest of the vehicle is distinctive but sleek, avoiding the “style by hatchet” design ethos of the current model. Presuming a five-year product cycle, the LF-1 could go on sale in about a year as an early 2021. Audi displayed a European market version of the new Audi Q3 at the Toronto show. Built on a 77 mm (3 inch) longer wheelbase and 96 mm (3.7 inches) longer than its predecessor, the Q3 has grown considerably. It is unknown what styling changes will be made for the Canadian market but the new Q3 shown in Toronto displays all of Audi’s current styling themes but looks more modern than the current Q5, which reflected no styling progress over its predecessor. The cabin of the European market Q3 on display in Toronto was, with some avant-garde two-toning, very elegant and constructed from attractive materials. In addition to being chic, the cabin is roomy, benefitting from the longer wheelbase for 2019. Audi’s Canadian arm had no info available on what engine selection the factory is going to send them but the European-market 40 (190 horsepower) and 45 (230 horsepower) 2L four-cylinder engines are likely. Power will find its way to the wheels (all-wheel drive may be standard) via a seven-speed dual clutch automated manual transmission. The new-generation Q3 should be in Canadian showrooms by this summer. With 59 units sold in Canada in 2017 (no 2018 model), it is surprising to see BMW proposing a new-generation Z4 here, but Bavaria’s pride unveiled a new version of its two-seater at the Toronto show. Built on a slightly shorter wheelbase, the new Z4 is 83 mm (3.3 inches) longer overall, a full 73 mm (2.9 inches) wider and marginally lower than before. Power stems from either a 255 horsepower turbocharged 2L four (sold as the 30i) and a turbocharged 3L inline six (marketed as the M40i, further diminishing the once-fabled M brand) with 362 horsepower. Power reaches the rear wheels via an eight-speed automatic transmission. With massive openings and jagged forms, the frontal styling of the new Z4 is dramatic. The design treatment of the sides and the rear are striking, if not pretty. The dashboard, with a strong horizontal emphasis and free-standing infotainment screen, is very BMW. The rest of the cabin, with interesting shapes and some attractive two-tone colour combinations, is quite elegant. Unlike the last Z4, which featured a retractable metal roof, the new Z4 employs a traditional soft-top. Interestingly, the Z4’s platform and mechanicals underpin the new GR Supra that BMW is building for Toyota in Germany. Z4 fanciers don’t have to wait for their new rides as the order book is already open.